Affiliate marketing has opened new doors for side-hustlers and solopreneurs. In short, these affiliate programs let you make money off of selling someone else’s product—usually between 5% and 20% of the sale price. This is extremely popular amongst software companies and other subscription services, and are usually embraced by bloggers and social media influencers with a large readership and follower counts. Software affiliate marketing is especially profitable for bloggers because many companies will actually offer recurring commissions, meaning that you get paid for each month that a user is actively subscribed to a service. So sell the software once, and you’ll receive monthly commissions for as long as the user sticks around—sounds pretty great, right? Interested in learning more? You’re in the right place because, in this article, we’ll show you the top 101 affiliate marketing programs that offer recurring commissions for bloggers and social media influencers alike. 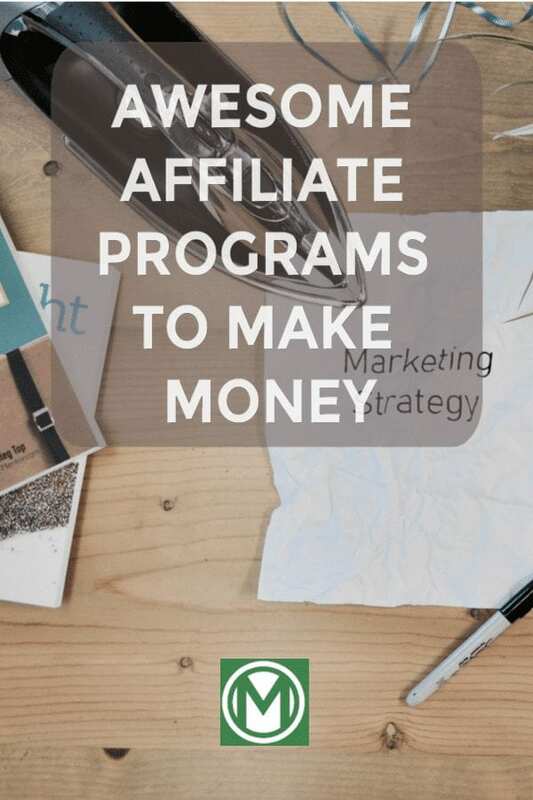 But before we get into the list, let’s take a look at how these affiliate programs work. When you sign up for an affiliate marketing program, you’ll usually be given a personalized affiliate link. These links take users to the standard signup page for the software/service but give you credit for each new customer you bring in. These programs are usually free to join, but you may need to be a current customer to participate. When you sign-up for an affiliate program with recurring commissions, you’ll often be given access to a member dashboard where you can generate affiliate links, track signups, and choose your payment method. Most of the time, affiliate programs will pay you every 30 to 60 days via PayPal or bank transfer. Each company is different, though, so make sure that you clarify payment times with the software company. To learn everything you need to know to make money through affiliate marketing, this course is the best. 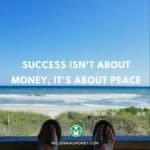 It seriously could pay for itself with all the awesome strategies you will learn. Like discussed earlier, you can promote your links via your blog or social media following. But that’s not all— here are some of our favorite ways to promote affiliate links for maximum return. On your blog, consider writing software reviews or putting together a listicle of the best software for X industry. You can also write how-to articles that help your readers solve a specific problem by using an affiliate-linked software. Haven’t started your blog yet? Check out our free course Free Blogging Side Hustle Course: Launch A Million Dollar Blog in 7 Days! Social media influencers can simply tweet or share links to their favorite pieces of software. Make sure to preface why you like it though, otherwise, your tweets may look like spam. In some cases, it may actually be beneficial to pay to promote your affiliate links. If the affiliate pays enough, consider boosting your blog posts on Facebook, or working with another social media influencer to promote your posts. Have a successful email list? Don’t be afraid to write up a blurb about related software, and include it in your next edition. After all, your audience already trusts your opinions (hence why they’re subscribed), so why not recommend some great products and make a few bucks? The most important asset you have as a blogger is your email list. This is your crew, your audience, your tribe. The million dollar bloggers out there are able to make between $1-$5 in revenue per email subscriber each month!! If you have a list of 10,000 subscribers you can make up to $50,000 in revenue off that list per month! It’s crazy. 1. Start ASAP. Like today. 2. Pick A Good Email Platform. I’ve tried a bunch of email marketing platforms (MailChimp, AWebber, MailMunch, Constant Contact) and hands down the best one I’ve found our there is ConvertKit. Get a special Free Trial of ConvertKit With This Link. 3. Create A Sign Up Incentive. Always give something of value to someone who subscribes to your list – but make sure it’s something that your audience will actually want. A lot of the “Download my Free PDF” incentives no longer work as well because everyone does it. 4. Use a Pop Up, side bar, and end of post form. If you want to maximize your subscribers, you need to make it as easy as possible to subscribe to your blog. This means you need to put forms in the right places. The most effective form locations are in a pop up, on the side bar, and at the end of posts. 5. Use Single Opt In Forms. There are two ways you can set up your forms – to automatically confirm a subscriber when they sign up, or require them to confirm. If you have a favorite piece of software that has an amazing affiliate program, write a case study about it. Not only will this help your audience find a new software solution, but it will also easily drive traffic to your affiliate links. You also get an SEO advantage, as your independent case study will act as a testimonial when people search for software reviews. If you’re a consultant, make sure that your clients sign-up for new software solutions and buy new products via your affiliate links. Just make sure the affiliate program doesn’t have any rules against this. You can even make this software or service an “add-on” to your existing services. One word of advice before you start promoting software and services: make sure you actually use the software before you start promoting it. If you have never used the software, your content is likely to miss key points and features that may be huge selling points. And to be frank: it’s painfully obvious to spot software reviews and recommendations that are based on assumptions. Spending an hour with the free trial will make a world of difference in your content, and will help you make more money. So, now you know what affiliate marketing programs are and how to promote them, but where do you start? Below, we’ve listed the top 101 affiliate programs for bloggers, social media influencers, email entrepreneurs, and more. The list is broken down by product type, so scan headers and find which is most applicable to your audience. Here at Millennial Money, we’re all about investing for a better future. 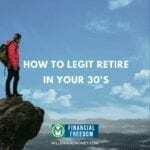 Whether it be through real estate investing or more traditional investments, anything is better than letting your retirement fund sit in a 0.01% savings account. That said, If you haven’t already checked out Radius, they offer great savings account rates. 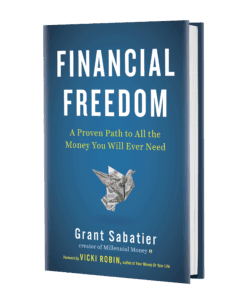 If you’re a financial expert, you can make real money by linking to investment websites on your blog or email newsletter. And at the same time, you’re helping your readers invest in a better future for themselves—what’s not to love about that? 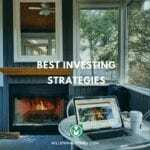 RealtyShares— $50+ per lead. You can also refer people to be affiliates! Survey Junkie Affiliate –Ok, this isn’t an investment app, but you can invest the extra cash! Affiliate marketing is huge in the web hosting and web services space—and the commissions can be huge. After all, it’s an extremely competitive market and anyone that wants a website of their own needs a domain, hosting, and potentially a DNS server. There are a ton of affiliate marketing programs on the market, and we can’t put all of them in this article. Here’s some of the best—do your own research to find which best fits your audience. Read how to make money with niche websites with affiliate marketing! Love to travel? Some travel booking sites, hotel chains, and airlines offer commissions when you drive users to their site. Link to these on your travel blog, newsletter, or social media when there’s a good fare deal or hotel misprice. Social media management tools are an essential tool for social media agencies, small businesses, and anyone else that marketers their products on Twitter, Facebook, Instagram, or any other social network. These tools let social media managers pull in-depth reports, schedule content to multiple social networks at once, and even perform social media automation to speed up rudimentary tasks. With college getting more and more expensive, e-courses and online learning are becoming more and more popular. Online courses give everyone access to low-cost, high-quality education on everything from software development, to writing, to learning another language. Making Sense of Affiliate Marketing — I learned everything from this course! 40% commission! Live chat is absolutely essential for today’s software companies. After all, when something goes wrong with mission-critical softwares, your customers (and your customer’s customers) need immediate assistance. Let’s be real: we’re not all photographers or videographers. But chances are, your business has needed graphics or videos at one point or another, whether it be for a website or other type of promotion. And that’s why stock photo and video websites exist. Companies can buy the rights to an image, and use them as if they shot the photos themselves. Many of these offer amazing commissions too—here’s some of the best. Email marketing apps are essential for startups and businesses of any size. After all, you can’t send your emails blast out using Gmail or iCloud. These apps let businesses build email lists, and design and send mass emails with ease. Likewise, Email Service Providers—or ESPs—are important for software companies and websites with any kind of email autoresponders. This software is responsible for sending those emails and ensuring that said emails are compliant with local laws. As we move to a world of mobile phones and tablets, cloud storage is getting more and more important. These services let you back up your files online and view them from all of your devices. Get in while the market’s hot, and earn amazing commissions by selling cloud storage to your audience. WordPress themes and plugins are a huge market for affiliate marketers. After all, WordPress is the by far the largest content management system on the web, and it currently powers hundreds of millions of websites worldwide. And while the WordPress software is free and open-source, most WordPress websites are actually powered by paid plugins and themes. In short, affiliate marketing networks manage affiliate programs so that businesses don’t have the time or resources to run them on their own. You can sign up directly with some of these networks, and get access to a huge library of affiliate marketing programs in one place. Think of them as one-stop-shops for affiliate commissions from a variety of services. Here are a few of our favorites. Note that commissions vary based on the product you’re selling, so we haven’t included them in this piece. Best Affiliate Program to for online shopping? Amazon.com Associates, the Amazon Affiliate Program, of course! 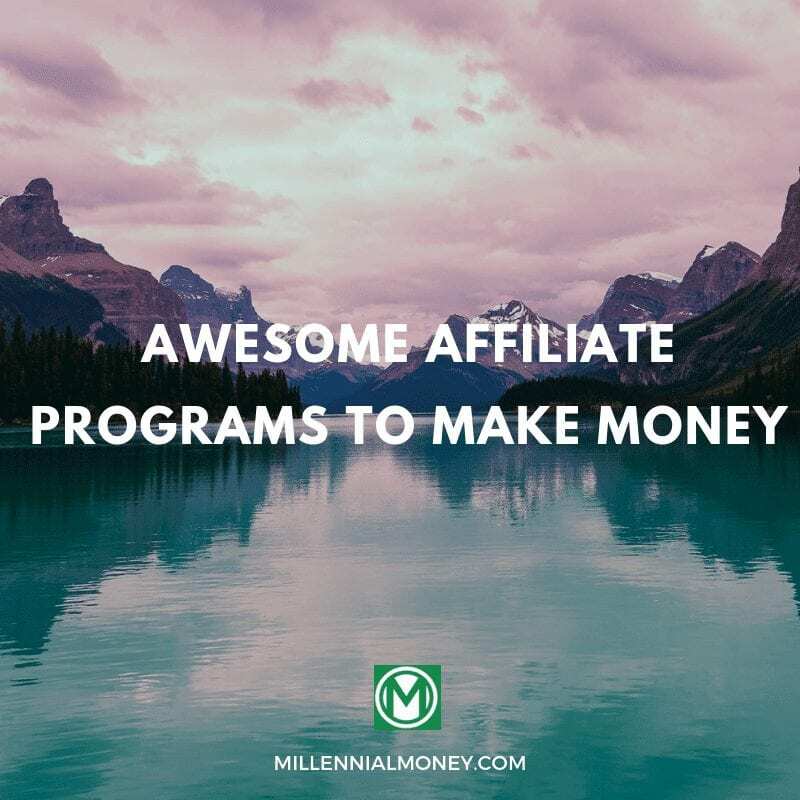 Those are the 101 best affiliate marketing programs for making extra income in 2019 and beyond. When promoted properly, these companies can provide huge passive returns for your business—especially if you focus on recurring returns. But enough from us, what do you think? Have a favorite affiliate marketing program? Let us know in the comments, we’ll be sure to check them out.